Rachel Bridge is fascinated by entrepreneurs and what we can learn from them. She is author of five books about entrepreneurs – the latest of which is How to start a Business without any Money. Rachel also writes a monthly opinion column for The Sunday Telegraph about issues of interest to entrepreneurs and SMEs. Rachel is keen to support and inspire people to take control of their lives and pursue their dream, whatever it may be. Q1. Rachel, tell us a little bit about your background and what led you to write books on entrepreneurs. I am the former Enterprise Editor of The Sunday Times and have been writing about and getting to know successful entrepreneurs for many years. I realised that many of them shared common traits and had experienced the same hurdles and pitfalls, and felt that their collective experiences might be useful to budding entrepreneurs who were just starting out. So I decided to start writing books about what makes entrepreneurs tick and what we can learn from them. 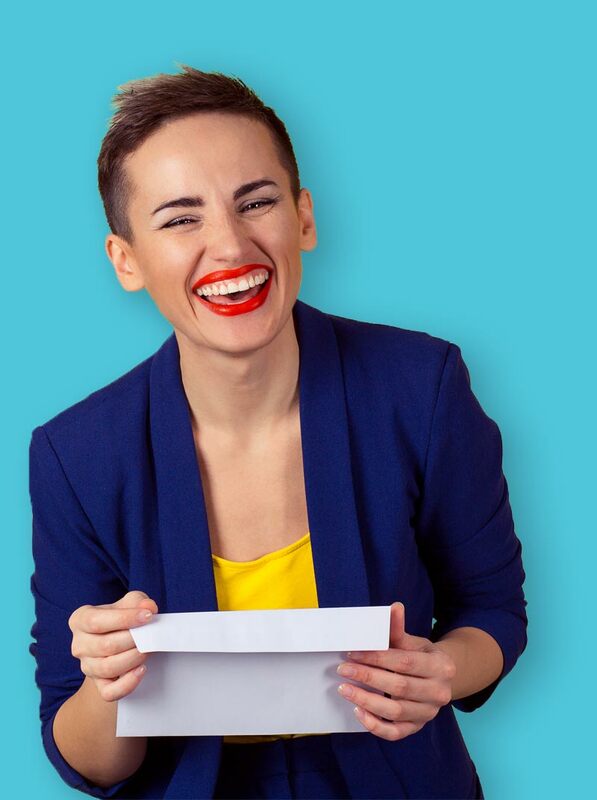 I have now written five books and in 2010 I took a one-woman show about entrepreneurs to the Edinburgh fringe festival. Q2. You’ve written a number of books about starting a business and you’ve met & interviewed hundreds of entrepreneurs. Based on your experience, what are the main traits that make up a successful entrepreneur? You need to be passionate about what you are doing and really driven to succeed, but you also need to be flexible about how your business will evolve, and be willing to learn from your mistakes. Most successful entrepreneurs have chalked up at least one business failure along the way before they hit the big time. Q3. You regularly attend and speak at a number of UK business events such as Global Entrepreneurship Week, National Enterprise Network annual conference, etc. In your opinion, how tough is it in the current economy for start-ups to succeed? Good ideas do not need a buoyant economy to succeed and in some ways starting a business in a recession can actually be an advantage – customers do not expect flashy ostentation or unnecessary frills, and it can cheaper to source the things you need to get your business off the ground – offices are cheaper to rent, skilled labour is easier to find and special deals abound on everything from stationery supplies to mobile phone contracts. The secret is to find a product or service to sell that people actually need – and so can’t put off buying – rather than a product or service that they merely want – which they can. Umbrellas are a better bet than hot tubs. Q4. 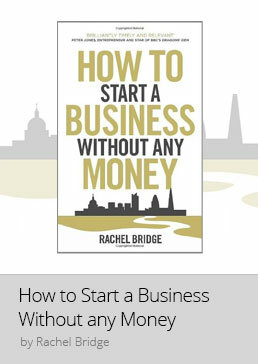 Your latest book is ‘How To Start A Business Without Any Money’. Is that really possible and can you share any tips & examples? Yes it is entirely possible, providing you choose the right kind of business and start it up in the right way. The secret is to use the resources you already have at your fingertips – work from home and build a business around a skill you have that other people would be prepared to pay for. Then start thinking in a low cost way – build a free website using an online website builder; tap into free advice; source free equipment; get customers to pay you upfront. And read my book! Q5. Are entrepreneurs born or made? They are a bit of both. It is possible to teach some of the skills of being an entrepreneur but none of it will stick unless that person already has an inner drive and passion to create something for themselves. Personally I think the biggest factor is environment. If you are surrounded by people who are entrepreneurial, or chose to make their own path through life, then you are more likely to think in an entrepreneurial way yourself. Q6. Who is your favourite entrepreneur, and why? That is a difficult question because I have met so many amazing people. I think Judy Craymer is a brilliant example of someone who has an entrepreneurial spirit. She decided to create a musical from scratch, and despite having no experience and everyone telling her she was crazy, she spent ten years trying to make it happen. The result was a Mamma Mia, a huge box office hit. What makes her achievement so amazing was she didn’t write the music, she didn’t write the words, she didn’t even provide the finance; she simply had the vision, and then the tenacity and determination to see it through. Q7. What was the last business you came across and said to yourself ‘I wish I’d thought of that’? Every time I talk to a successful entrepreneur! The best ideas are the simple ones that fill a need in people’s lives. The wonderful thing is that there is no shortage of potentially brilliant business ideas – the secret is to look around you and find something that frustrates or annoys you and then think of a way to solve the problem. If you can do something better, quicker, cheaper or more efficiently that what is currently available, then you have the makings of a successful business. Q8. How important is it to have a business partner? There is no right or wrong answer to this – it entirely depends on your own personal temperament. If you prefer working with someone else and making decisions as a team, get a business partner; if you prefer working alone and making decisions on your own, don’t. If you are not sure, think back to when you were at school and had to find a partner to do a geography project with, and then share the good or bad marks with – did you love it, or hate it? Q9. How important do you think having a business plan is? I think it is important to have a plan of what you want to do and how you plan to do it, and it is particularly important to have an idea of how much money you are going to need and where the profits are going to come from. But it is also important to understand that a business plan is not set in stone. You need to treat it as a flexible work in progress that will change and morph as your business grows and you find out more about your market and your customers. Ultimately it is a tool to help you so it is important not to become a slave to it. Q10. What are some of the best examples you’ve come across of people promoting their new business? Personally I rather like the artificial grass-covered cars that the people running Easigrass drive around in. Free advertising which makes people laugh, and encourages them notice and remember your product – it doesn’t get much better than that. Q11. Nowadays, thanks to the internet, starting a business is easier than ever. What’s the most inspiring online business you have come across? I think Notonthehighstreet.com is a fantastic example of an online business. It is basically an online marketplace for small, often home-based, businesses which sell original crafts and homewares, something that would never have been possible in pre-internet days. The brilliant thing is that by growing their own business Notonthehighstreet.com is also helping the small businesses which sell on the site to grow, and as a result many of them have found a market and customers for their products which they could only previously have dreamed of. Q12. In your book ‘How To Make A Million Before Lunch’ you advise that if somebody is going to start an online business, then they need to stand out from the crowd. With so much online competition, what advice can you give on how a new online business can do this? Create a good website, spend time on search engine optimisation to get it near the top of the first page of Google’s natural search listings, find a niche, and make sure you are the best business offering the best products and the best service within that niche. Q13. You have met many successful entrepreneurs. What can we learn from them? The key message is that you have got to really want to do it – and you have to be prepared to put the hard work in. No matter how good your idea is, you simply cannot create a successful business if you are going to be half-hearted about it – it just won’t work. You need to be focused and determined – and be prepared to make sacrifices to achieve your dream. Q14. What advice would you give to somebody just starting their own business? Start small, don’t risk everything, and ask yourself who is going to want to buy your product and service – and why. So many start-ups fail because they forget to ask themselves that crucial question. Thanks Rachel, from everyone at Easyspace and good luck with your new book. Rachel Bridge is an author, journalist and public speaker. Her latest book, How to Start a Business without any Money, is out now. Her website is www.rachelbridge.com and you can follow her on Twitter at @rachelbridge100.